ConVirt has a task execution engine. 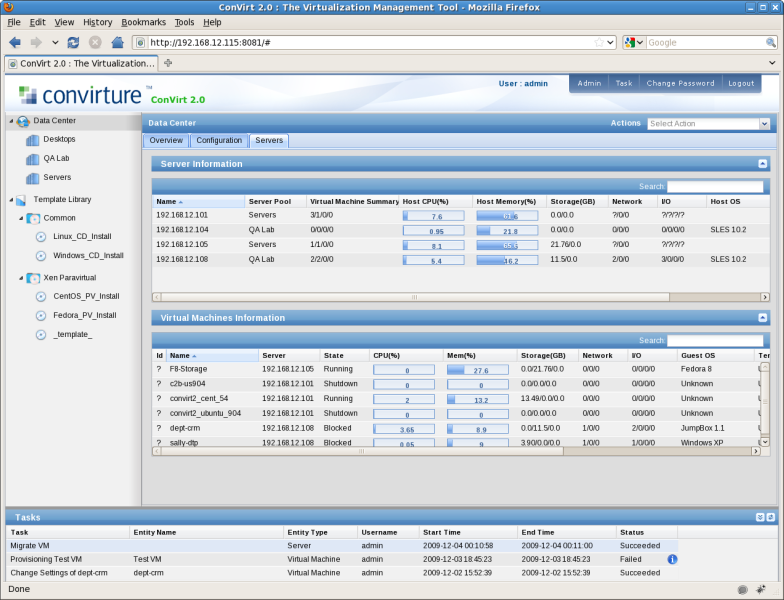 All operations within ConVirt are carried out via this subsystem. 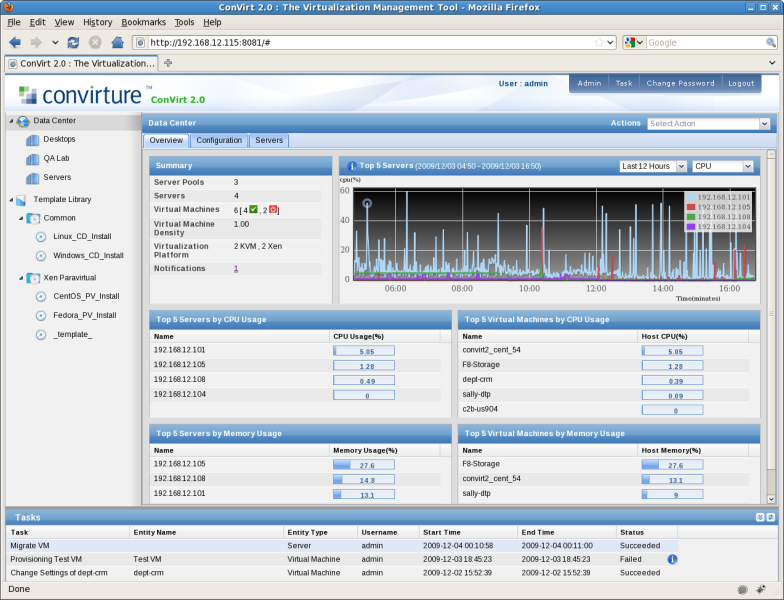 It also runs periodic tasks of monitoring servers and virtual machines, data rollups and periodic maintenance. 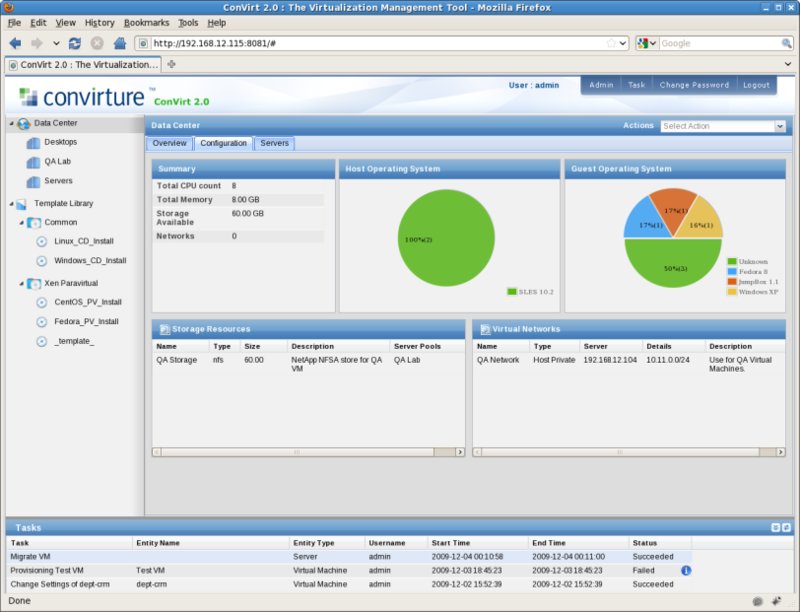 ConVirt 2.0 presents data in an organized fashion. Each entity in the system has at least an Overview tab and a Configuration tab. The Overview tab shows summary information as well as information that requires attention. It also shows various charts that shows recent performance. The Configuration tab on the other hand shows configuration information about the entity. The following two screenshots give a clear idea of the philosophy of bringing the relevant information to the user.